Our home base is in beautiful, leafy Paracombe in the Adelaide Hills. 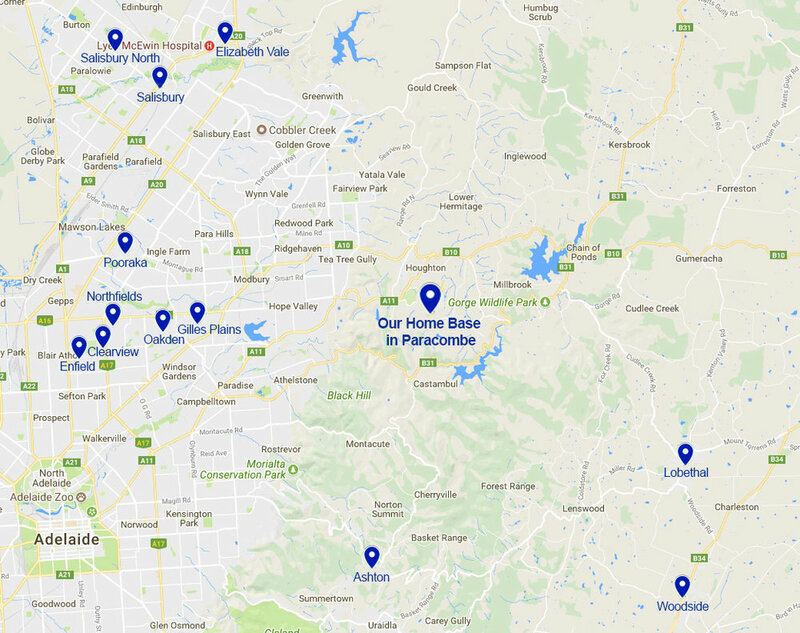 We currently provide transport to and from designated group pick-up and drop-off points in the Adelaide Hills, Northern, North Eastern and Eastern Suburbs of Adelaide (see map to the right). Specific, individual pick-up and drop-off points can easily be arranged also. To arrange times and locations or any additional information, please call the office on 08 8389 9288 between 9am and 5pm Monday to Friday, or fill out the form below.